I love being with people of all ages… No matter if it’s a kid or grand-parents! And I also feel that they absolutely enjoy my company… But if I’m supposed to stay for a long time without any company, I switch to nervous mode :( Huh… that was the same feeling when I was visiting my in-laws before marriage. Lucky me, KG has a lovely sister who accompanied me at almost every family get-together! 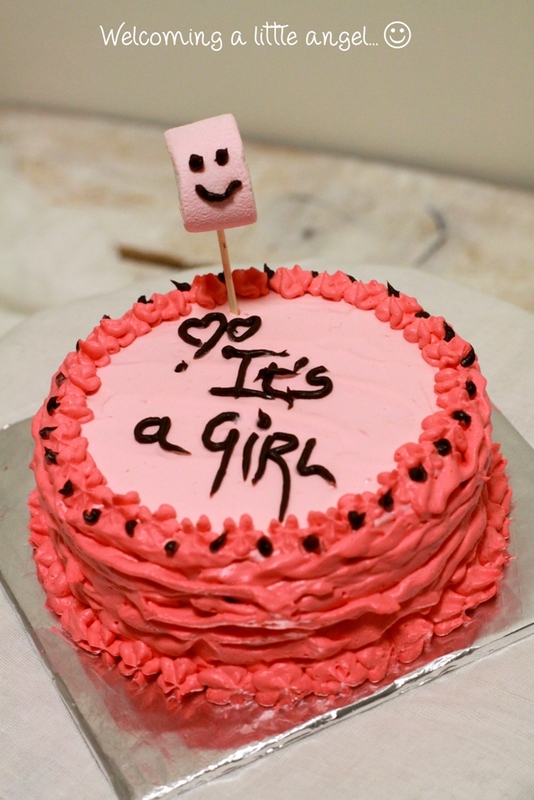 Let me tell you… I was the happiest person in family when she delivered a baby girl a week back! And she looks as cute as her mum ❤ As I’ve said many a times on this space before that my ‘Mami’ is the best buddy I have in family, with whom I share pretty much everything. And I so much wish to be the same person in this little angel’s life! The cake looks sooo cute!